Really gross product. Gross state product of US states, 2017. 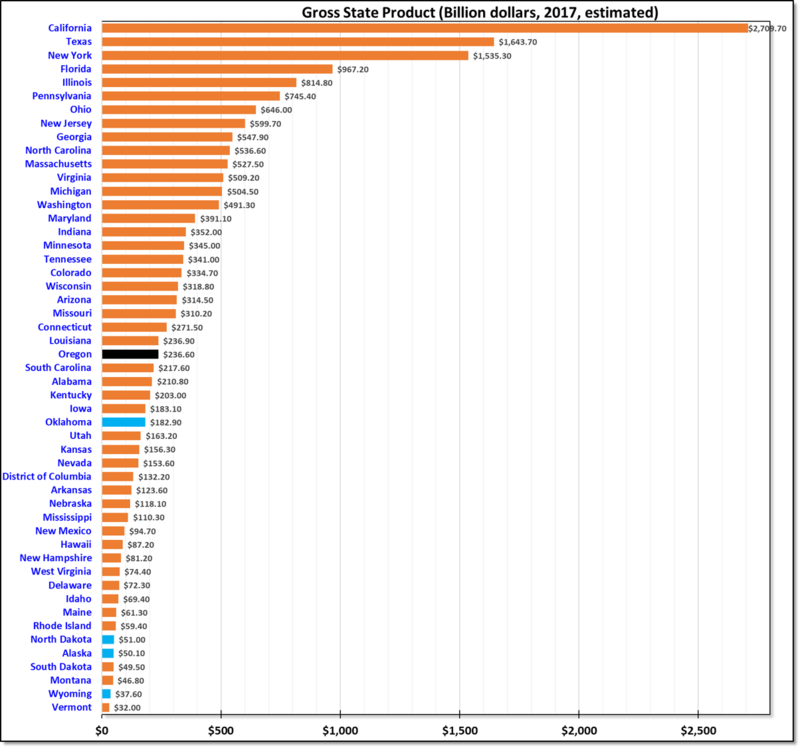 The gross product of each of the US states, estimated for 2017. At $2.7tr, California is the largest state by population as well as gross product and is world’s 5th largest economy (at $2.76tr), well ahead of UK ($2.63tr), France ($2.46tr), and India ($2.26tr). The list is dominated by the east coast & mid-west states after California. Most small economies are from the great American plains or the smaller north-east states. Most state economies are expected to grow in 2017, except the oil dependent states of Alaska, North Dakota, Wyoming and Oklahoma.